Part cartoon character, part virtuoso, musical whiz kid Wang Jie has been nudging serious music and its concert audiences into spectacular frontiers over the past few seasons. Her “FROM NEW YORK, WITH LOVE” transformed a classic percussionist into a dervish-like rock star. Her chamber opera “FLOWN” dramatized the end of a rocky love affair by having the two pianists attack each other and their shared instrument. Despite having the worst title in the history of music, “OBOE CONCERTO FOR THE GENUINE HEART OF SADNESS” channeled the power of the League of Composers Orchestra into an orgiastic whirlwind. An unexpected collaboration with comedy writer Paul Simms inspired a song cycle about dying funny that coaxed belly laughs from an otherwise sedate Opera America audience. Not one to let herself off the hook at her Carnegie Hall debut, she shape-shifted into a monkey god while leading performances of her concert opera “FROM THE OTHER SKY”. 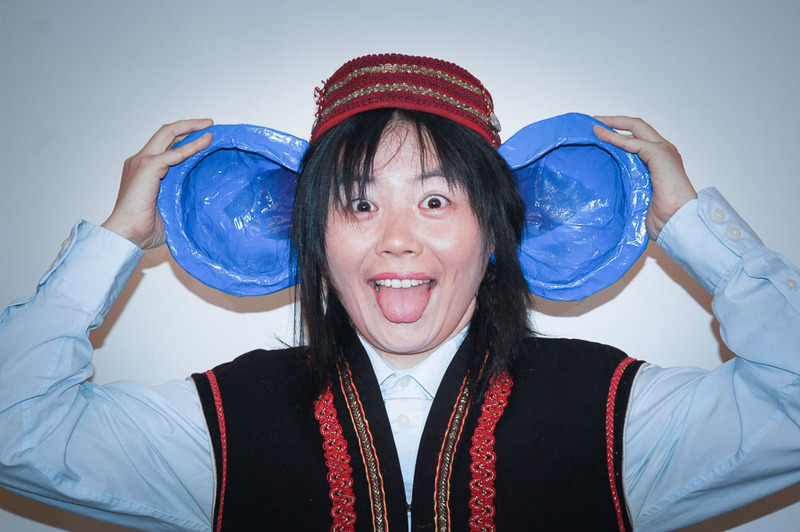 There’s a touch of glorious madness to Jie’s work, but her colleagues and mentors at the Curtis Institute of Music, the Manhattan School of Music and the NYU PhD program have been long aware of the skill, theatricality and method behind it. Born across the globe in a metropolis dubbed the Eastern Paris, Jie was a January baby associated with the departing zodiac Sheep, high hope for the arriving Spring and the first year of the Single Child Policy. Wang Jie is not the easiest name to sing, and her face? Depending on the time of day, it’s Buddha sipping a fine whisky or your Chinese Takeout cashier girl next door. However, once you’ve sat in the audience when one of her composition is performed, you’ll be tempted to memorize the music of her name. Once her face animates a bubbly conversation, you’ll at least sneak a second look to see what she may do next. After a successful escape from a military-run kindergarten, Jie’s parents decided that a dose of discipline was necessary to manage the 4-year-old’s oversized frontal lobe. They plopped their shrimpy child in front of renowned composer/pianist Yang Liqin. Jie was instantly drawn to this monstrous instrument. Eighteen months later, she climbed onto the piano bench and performed both volumes of J.S. Bach’s Inventions at her kindergarten graduation. “We sure tamed this kid, didn’t we?” approved by the Air Force General after the recital. Jie couldn’t read or write Chinese yet: music was her first language and first love. As it happens, post-Cultural Revolution pre-schoolers who could perform Bach were a penny a bucket. Jie’s small hands soon put her at a disadvantage: unable to stretch an octave on the piano, she ran out of repertoire to play and was stuck revisiting music she’d already mastered. Then came the news that she was ineligible to audition as a pianist at the Shanghai Conservatory of Music. Thinking ahead, mom and dad added an advanced academic curriculum to their imp’s 4-hours-a-day piano practice. This otherwise detrimental blow served to prepare Jie for the kind of intellectual fast track and in-depth music thinking that has enabled her to let pencils and manuscript papers slowly overtake the piano. After six years of hard study, the new teen crashed again at an audition for the Shanghai Conservatory: the school didn’t know quite what to do with this “not so orthodox” composer. Violent parental discussions about who was to blame for this weird kid got Jie shipped to a highly esteemed boarding school/prison for youngsters showing high promise in science. En route to incarceration, Jie sneaked three cassette tapes into her suitcase: Beethoven’s Fifth Symphony, Tchaikovsky’s “Pathétique” Symphony, and Rimsky-Korsakov’s Scheherazade. Considering Jie’s beginner’s luck of previous military escapes, the rest of the story pretty much tells itself. When you catch her saying “music is the difference between life and death”, believe her! The delinquent science student was repeatedly caught skipping College Physics courses for a few hours with the piano or hiding a Mozart biography inside an Advanced Calculus book jacket. Even so, Jie flabbergasted her teachers by winning a national science fair award with her “irrigation system for the arid lands of China”. A major university offered her early admission at its Physics department. “When it comes to a choice between life and death, the composer must always choose life!” said the reckless high school senior in front of the university officials. Having burned her bridges at the boarding school and the university, Jie reached a point of no return as she launched an underground solo operation to attempt a third audition for the Shanghai Conservatory. Boy, was she in for a surprise! Now that you know all the mischief that seasoned Jie for a tour of America’s top music schools, you might begin to understand where her mantra “Engage Explore Play” comes from. 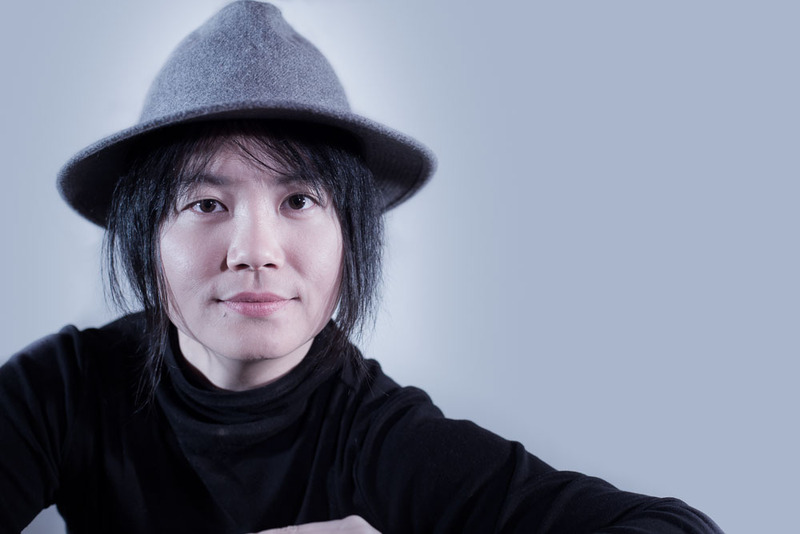 At the forefront of the younger generation American composers, WANG JIE has emerged as one of the most evocative musical voices. Ranging from elegant to campy, her works are powerfully engaging, richly orchestrated and rhythmically vibrant. One day she spins a few notes into large music forms, the next she calls Zodiac animals to the opera stage – a rare trait in today’s composers. Born in Shanghai shortly after the Culture Revolution, Ms. Wang was raised in an era of breathtaking economic and cultural expansion. She was a known piano prodigy by the age of five. A scholarship from Manhattan School of Music brought her to the US where she began her composition studies under the tutelage of Nils Vigeland and later with Richard Danielpour at the Curtis Institute of Music. While a student, her tragic opera NANNAN was showcased by New York City Opera’s annual VOX festival. This led to the production of her chamber opera FLOWN, a meditation on lovers who must part, by Music-Theatre Group. The Emily Dickenson inspired song cycle I DIED FOR BEAUTY was featured at the opening ceremony of Beijing Modern Music Festival. Her piano trio SHADOW dramatizes the inner life of an autistic child. It was featured by the New Juilliard Ensemble at the Museum of Modern Art and was subsequently presented by Continuum at Merkin Hall’s “China in America”. Not yet 30 years old, Ms Wang won the coveted Underwood Commission, and her concert opera FROM THE OTHER SKY was the centerpiece of the American Composers Orchestra’s season opening concert at Carnegie Hall. During that same year, the Minnesota Orchestra, led by Osmo Vanska, performed her SYMPHONY NO.1 as part of “Future Classics” series. Most recently, SYMPHONY NO.2, commissioned and premiered by Detroit Symphony Orchestra under the baton of Leonard Slatkin was streamed live to global audiences. OBOE CONCERTO, co-commissioned by The Koussevitzky Foundation in the Library of Congress and The League of Composers Orchestra, premiered at NYC’s Miller Theater with NY Philharmonic’s principle oboist Liang Wang as the Soloist. From the beginning of her career, Jie has won enthusiastic critical response. The New York Times described FROM THE OTHER SKY as “clear, lucid and evocative”, and OBOE CONCERTO as “ interesting things to say and intriguing ways to say them”. Classicalsource.com thought her concert opera to be “far more fun than one is supposed to have at a concert of ‘serious’ music”. 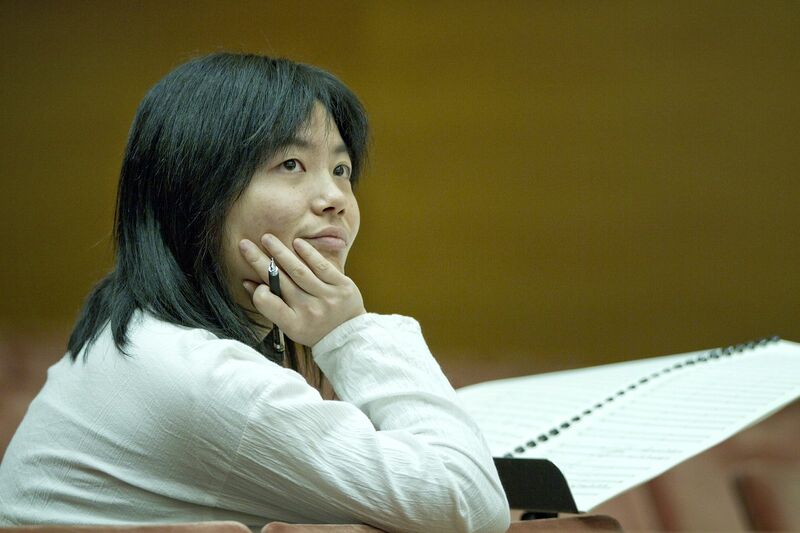 Minnesota’s Pioneer Press claimed that SYMPHONY NO.1 is “self-assured” and “fascinating.” Reviewers have cited her music as “introspective” (The New York Times) and “scrupulously crafted composition that embraces both Chinese and Western modern classical expression” (Pittsburgh Times Review). In addition to her successes in concert halls, Ms Wang was the recipient of several Toulmin Foundation grants and a McKnight fellowship. She was named a Schumann fellow at the Aspen Music Festival where she studied with Christopher Rouse and Marc-Andre Dalbavie in the Master Class program, and a McCracken Fellow at the NYU Graduate School of Arts and Sciences. Other honors include multiple ASCAP awards, citations from BMI, Opera America, a Charles Ives Scholarship from the American Academy of Arts and Letters, most recently a Koussevitzky Prize from the Library of Congress, and the Elaine Lebonbom Prize from Detroit Symphony Orchestra. Ms. Wang is a publishing member of ASCAP. She lives on Upper West Side with Pilot, a now exceedingly rare Sealyham terrier. Aside from composing, she is an avid hiker, rock climber, and a ringer softball player all over Manhattan. She bats left and throws right. The Chinese-born Jie’s Symphony No. 2 carries the subtitle “To and from Dakini” — Dakini being a Tibetan Buddhist female spirit of sorts. Another single-movement work lasting about 15 minutes, the piece opens quietly and furtively, rising and falling strings coalescing into stop-and-go phrases that spread through the ensemble and gradually coalesce into bigger ideas. A perfumed solo violin — the Dakini? — emerges from an impressionist atmosphere. Faster rhythmic stutters later recall Stravinsky, and there’s something of Ravel’s coloration and Gyorgy Ligeti’s tactile textures in the score. Abstract passages marry to more concrete melodies and lush harmony, and at one point, the orchestra almost sounds as if it’s laughing. I like the patience with which Jie develops her materials, and she was aided by Slatkin, who shaped the music to keep a sense of forward motion in the foreground. Concertmaster Yoonshin Song also deserves a nod for her exquisite solos.